Some safety features are fairly standard in today’s automobiles. Things like air bags and anti-lock brakes are included in most new vehicles. Used vehicles, however, don’t always have these features. If you’re shopping used, consider paying a little extra up front to get these features that will keep your insurance costs lower over time. Don’t neglect the importance of anti-theft and security features such as On-Star, LoJack, and transponder keys for lowering insurance costs. These security measures not only reduce the risk of theft but also increase the odds of quick recovery of the vehicle when thefts occur. Insurance companies like these additional safety and security features. In return, they often reward drivers with lower insurance rates. For many people the thought of a higher deductible is unpalatable. However, if you drive defensively and do not have frequent accidents, this could be beneficial in the long run. Set aside enough cash from your insurance savings over the next year to cover the additional deductible and enjoy the monthly savings afterward. Little measures that save small change monthly add up to bigger savings over the life of your policy. Take a defensive driving class and take it to heart. Learn about driving safely, avoiding distractions (cell phones, DVD players, putting on makeup, etc.) behind the wheel, and noticing potential hazards before you’re right beside them on the road. Don’t drive over the speed limit. Safe driving records are widely recognized to lower insurance rates among all major carriers. Claims drive up insurance costs. While it may be tempting to bundle roadside assistance into your insurance package, it isn’t always cost effective. Instead, get a roadside assistance policy that’s completely unrelated to your insurance policy to keep prices down while enjoying the roadside benefits. While it is necessary to have auto insurance if you want to drive in the U.S., it isn’t necessary to pay top dollar to get it. 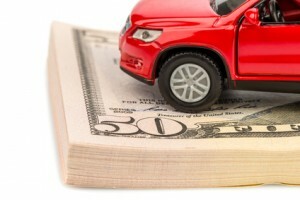 These tips can help you save a bundle on your auto insurance costs. Call us today to discuss your specific auto insurance needs!